Tooth loss is extremely common. Dental implants are a great way to replace teeth lost to gum disease, dental decay and traumatic injuries. They can restore your self-esteem and allow you to smile with pride again. If you’re considering getting dental implants in Yonkers, here are a few facts to help you get acquainted with the process. When natural tooth roots are absent, dental implants replace their function. Implants are small, metal screws that are surgically implanted into your jaw to support natural-looking artificial tooth crowns. The dental implants process typically uses endosteal implants, which are placed directly into healthy jawbone. When there isn’t enough viable jawbone available and a bone graft isn’t an option, your dentist may be able to insert a subperiosteal implant, which is inserted under your gum tissue but above your jawbone during dental implant surgery. A variety of factors influence the cost of dental implants, including materials used to create the post and crown, preparatory work such as bone grafts, dental implants insurance coverage, and the type of implant surgery needed. In general, dental implants cost more than dentures and other restorations, but they offer a variety of benefits such as superior appearance, longevity and a successful track record that make them a wise investment. A dentist experienced in placing dental implants can provide an accurate estimate of your dental implants’ cost. To learn more about getting dental implants in Yonkers, schedule a consultation today. Will Dental Insurance Cover My Implant Procedure? Unfortunately, the dental implants procedure is considered a cosmetic treatment option, so most standard dental policies don’t cover it. With a little research, you may be able to find carriers that offer dental implant insurance, but if the cost of dental implants with insurance is still too high, we may be able to assist you. Contact our office to learn more about our convenient financing options to help you manage your dental implants cost and get the beautiful, affordable dental implants that can transform your smile. Discover your dental insurance implants options today. Several steps are involved in getting dental implants. Endosteal and subperiosteal dental implants procedure steps may vary. First, the surgical site is prepared. Next, the metal implant is inserted directly into the jawbone. 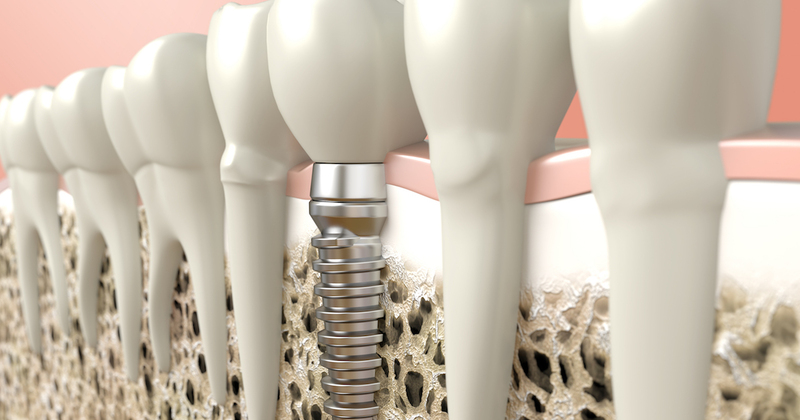 Over a period of several months, the implant fuses with the bone and creates a stable bond. Once healed, the site is reopened, and an abutment, or connector, is attached to the top of the implant. Concluding the dental implants procedure steps, a natural-looking crown is placed onto the abutment. Once the process is completed, your dental implants will look and feel like natural teeth. Dental implant procedure pain is generally mild. It can be managed with local anesthetic injections and non-prescription pain medicine. When dental implants replace your missing teeth, the following dental implants benefits can change your life. Dental implants could be the perfect solution to all of your dental challenges. Contact our office to learn more about getting dental implants in Yonkers. It’s important to take care of your dental implants after your procedure. Caring for dental implants isn’t difficult; just keep the following tips in mind. Manage minor discomfort and tenderness with over-the-counter pain medications. After your mouth has healed, treat your dental implants just like they were your natural teeth. Be sure to brush, rinse and floss as often as your dentist recommends. Visit your dental provider for regular exams for proper dental implant care after surgery. The dental implants procedure isn’t right for everyone, but if you’ve lost one or more teeth, and you have enough healthy jawbone to provide adequate support, you may be a good dental implant candidate. To determine if you are eligible for dental implants, schedule a consultation with one of our experienced dental providers. Be sure to bring any relevant information such as medical records and dental implants insurance plan details to determine in you are someone who needs dental implants and how much your dental implants cost based on your needs. 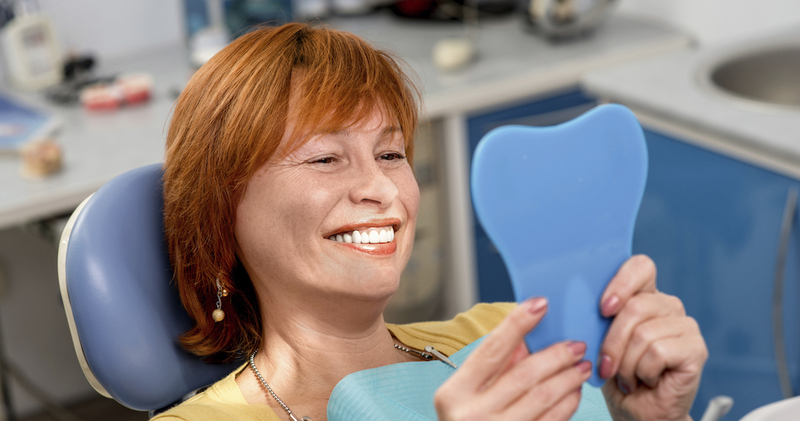 How Long Should I Expect My Dental Implants to Last? How long does a dental implant last? It’s a common question with a simple answer. The lifespan of dental implants depends on how well you maintain your oral health and where the implants are located in your jaw. With proper care, you can expect your dental implants to deliver many years or decades of great smiles. Some even last a lifetime. Practice great oral hygiene, and see your dentist in Yonkers regularly to ensure that your dental implants stay in top shape. If you don’t have affordable dental implants yet, don’t miss out on the benefits; contact us today to learn more.